A complete exploration of the martial art kendo - Includes technical specifics such as form, positioning, and breathing - Offers detailed explanations of kata - Includes an extensive history of the kendo tradition and a lineage chart of the great kendo masters - Written by Paul Budden - a member of the award-winning team at the European Kendo Championships - Endorsed by the premier Japanese kendo body and suitable for kendo students of different levels - Author lives in Chesham, England ADDITIONAL INFORMATION: Derived from the ancient japanese warrior art of the sword and imbued with the principles of Zen Buddhism, kendo has now gained worldwide popularity for its appealing combination of sport and meditation. In Looking at a Far Mountain, kendo expert Paul Budden explains the essentials of the art. ...this is just a very well done book, appealing to the eyes and full of useful information. Importantly, it covers the kata of kendo and presents them in a meaningful way. A well done volume which goes beyond the basic repetitive kendo books which have been "done before". What a delight that this volume was finally reprinted! Enjoy! This book contains detailed information on the kendo katas. It has all the notes one would like to have on how to perform each one. With this I do not need to worry about taking notes after classes and I can focus on performance. I especially like the shidachi and the uchidachi shown in opposing pages, so one can view the complete sequence at a glance. It also have interesting historical information with pictures. This book is a "must have" to practice far from Japan. After many years of undertaking other martial arts, I've found myself having the opportunity to study Kendo. The club where I train has an emphasis on kata from the start of your training, and Budden's book provides nice clear illustrations of how to proceed with the long and short sword forms. The pictures are clear, and the points of note useful when atempting to refine your practice. Overall a much better (and understandable) coverage of the kata than Ozawa's "Kendo: The definitive guide". The page lay-out includes both shidachi and uchidachi as they enter and exit, though I would have liked to have seen movement arrows (a la Yang, Jwing-Ming). Overall though, this has been a very useful purchace, and I recommend it for anyone interested in learning and refining their kendo kata. Being Japanese it is easy for me to read about Kendo, as there are many books on this subject available in my home country. 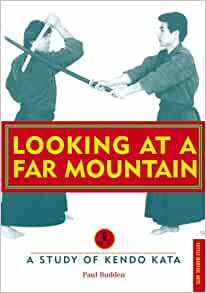 'Looking at a far Mountain', or 'Enzan No metsuke' Is the first book in English to study the aspects of Kata in depth. I first discovered it back in 1992 at its first publication. I found it to be extremely informative historically and clear in the technical explanation. The format is unusual, each section following the photographic layout.i.e. Uchidachi and Shidachi and I must say that I really appreciate the endeavours of the author. I am positive that this book, now available in paperback will inform and assist many practitioners of Kendo everywhere Signed: M Itoh. 5つ星のうち4.0A wonderful book for all kenshi. I found this to be a wonderful book. 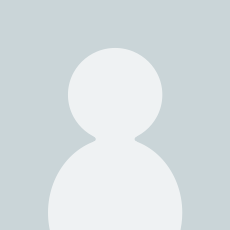 I recommend it for all kenshi who do not read Japanese but want to make a throrough study of kata. The author lays the groundwork for understanding the theory and spirit behind the kata as well as deatailng the movements.